As the wave of anti-government protests sweeps through the Arab world, Georgia’s opposition, stirred by the spirit of revolution, is mulling over their future course of action. 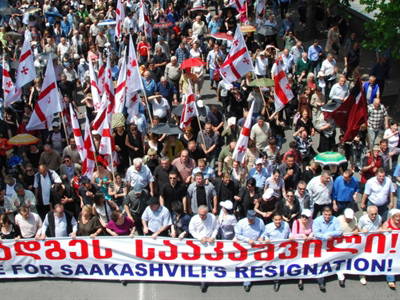 Several opposition parties have united to counter the Saakashvili regime. ­The “People’s Assembly” that unites a number of Georgian opposition movements has announced its D-Day: the “final stage of the struggle” is set to kick off a week after Orthodox Easter, which this year is celebrated on April 24. 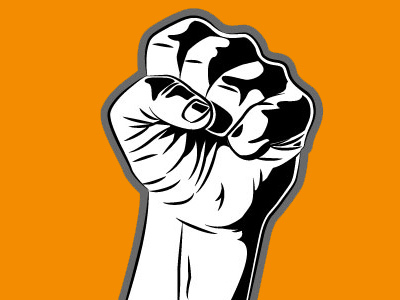 The opposition is planning to “mobilize” supporters and hold an anti-government protest rally. The decision was voiced by the leader of the organization, Nona Gaprindashvili, who gained fame as the women’s World Chess Champion in 1962-1978. She stressed that the event will be purely peaceful. Former speaker of the Georgian parliament Nino Burdzhanadze, who heads the opposition Democratic Movement-United Georgia Party, said she did not rule out that the government could use force and provocations against the protesters, reports Interfax. She hoped that there would be no shooting at demonstrators as “the military and police should carry out the will of people rather than the current leadership who have disgraced themselves”. 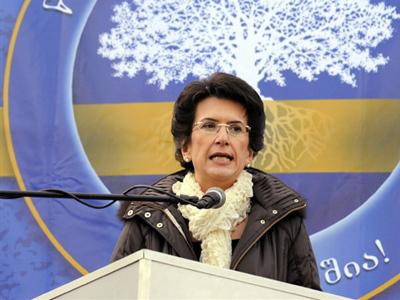 Burdzhanadze vowed not to “raise our hands even against those compatriots, who commit crimes,” but she warned that “if someone dares to raise a hand against us, they will receive a fierce response,” cites Civil Georgia. “We need a large number of people for one reason – to force the authorities to leave peacefully, without bloodshed. Yes, this country today, unfortunately, needs a revolution and if no other way remains, we are ready for it [revolution], of course, through peaceful means,” Burdzhanadze said. 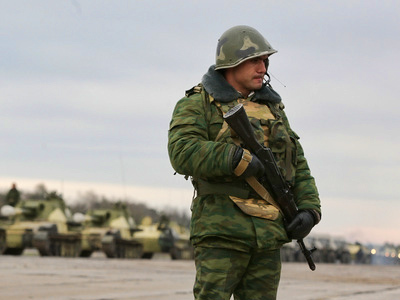 So far, the opposition remained split on whether a scenario similar to that in North Africa and Middle East could be possible for Georgia. 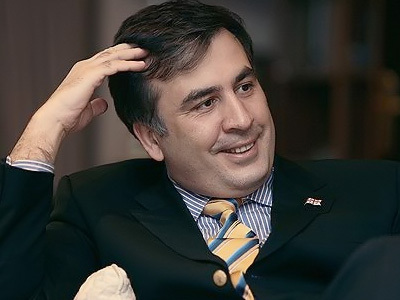 But if there is something that Saakashvili opponents are unanimous on it is that it is time to wave farewell to President Mikhail Saakashvili whose term officially ends in January 2013. ­Meanwhile, Saakashvili looks anything but ready to pack up and follow the ex-leaders of Tunisia and Egypt, who fled their countries defeated. Instead, the leader of Georgia's 2003 Rose Revolution sets off on a trip to long-times supporters – the US – seeking investment and self-publicity. In his traditional manner, Saakashvili is boasting some achievements and making loud statements. That seemed to bear fruit – at least to some extent. According to reports, under a deal signed in New York, between the Trump Organization and the Georgian Silk Road Group, American real estate mogul Donald Trump – and Saakashvili’s ally – plans to construct two towers in Georgia: one in the capital Tbilisi and another one in the resort town of Batumi. The deal – already praised in Tbilisi – is estimated at about $250 million. But the question is who will actually pay for the skyscrapers. According to Georgian Daily news website even the Georgian Foreign Ministry cannot answer this question and the “deal” is just an advertising gimmick for Tbilisi to attract investors. Russian Vzglyad.ru reports that under the agreement Georgia will only be allowed to use “Trump” brand for the construction. Whether he is ready to share his money or not, Trump was indeed generous with words, calling Saakashvili “an icon throughout the world” and “number one economic reformer in the world during last five years”. According to the billionaire, Saakashvili’s official website quotes, the Georgian president is “one of the great leaders in the world” while Georgia “is the second safest country in Europe”. That ranking seems a bit weird, considering the 2008 August war which began after Tbilisi attacked the South Ossetian capital of Tskhinval – that fact was later confirmed by an EU-sponsored fact-finding report – and a violent crackdown on mass anti-government demonstrations that injured hundreds in November 2007. Saakashvili seeks to boost Georgian’s tourism industry and visiting the “Cruise, Shipping Miami” international exhibition is supposed to serve that purpose. What exactly could possibly attract Miami moneybags to the Georgian “Riviera” still remains a mystery. It is also planned that during his week-long trip to the US, Saakashvili will meet with the CEO of the World Bank to “discuss collaboration issues", and with American Senators, the presidential spokesperson, Manana Manjgaladze announced at a media briefing. 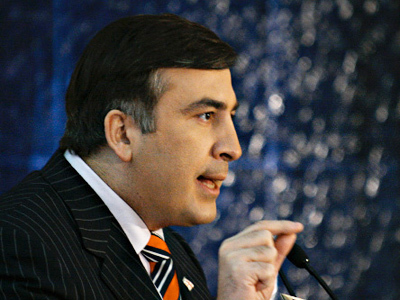 The visit – widely covered by the Western media – is a good chance for Saakashvili to assure potential sponsors that he is a proper leader for the former Soviet republic and that his administration is leading Georgia in the right direction. And he did not miss the opportunity. Speaking at a meeting with representatives of the Georgian Diaspora in New York, Saakashvili stated that thanks to successful reforms Georgia has turned into a model country for many post-Soviet states, creating “a new order in the region,” cites the Civil Georgia website. By doing so, he said, Georgia has “assumed historic mission for the entire post-Soviet space” and not only. “After the revolutions in Egypt and Tunisia, many people express desire to come to Georgia and to learn from our reforms… There is something that we have created and which is absolutely unique and we should accomplish it,” Saakashvili stated. The ambitious plan is to turn Georgia into one of the fastest growing economies in Europe, and “the region’s democratic Singapore of the future”. In all modesty, Saakashvili did admit that Georgia “still had a long way to go” to the “creation of normal living” . He did not clarify though how long that road is. According to the opposition, if Saakashvili remains in power that will be quite an extended journey. ­Earlier, the leader of the opposition, Fair Georgia party, Zurab Nogaideli accused the authorities of neglecting people’s needs and monopolizing business. He said that the country’s “catastrophic price growth” could result in social upheaval. The regime of President Mikhail Saakashvili “will never abandon” the monopolization of business, which aggravates people’s conditions, he added. Earlier in February, Lasha Chkhartishvili of the opposition Conservative Party said “The overwhelming majority of the population is on the brink of poverty. Nothing is working in Georgia, except for police." 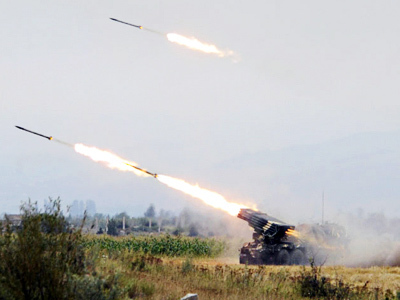 The politician added that “Saakashvili's dictatorship regime is bound to collapse, because people's patience are coming to an end," he said, cited Itar-Tass. Indeed, it is common for the opposition to criticize the leadership, which can often be considered a biased approach. But International organizations also recognize that things are not exactly as smooth as President Saakashvili wants them to look. For instance, according to the Human Rights Watch report on Georgia, in 2010, “the government evicted hundreds of internally displaced persons (IDPs) from state-owned collective centers in Tbilisi, the capital, often leaving them homeless or without adequate compensation”. Also, the report reads, “State actors hindered activists' right to assembly and attacked and harassed journalists and opposition newspapers.” The media environment in Georgia remains mixed, with diverse print media, but nationwide television broadcasting limited to the state-owned Public Broadcaster and pro-government Rustavi 2 and Imedi stations. “Transparency of media ownership remains a concern,” Human Rights Watch stated. On March 17, Saakashvili is expected to continue lecturing on Georgia’s thorny path from the revolution to “effective reforms” and “reliable democracy” at the Center on the United States and Europe at Brookings (CUSE), brookings.edu reported.